Boxing: Ryszard boxes clever on his way to Senior Elite final! Sheffield City Boxing Club star Ryszard Lewicki has boxed his way to the finals of the Senior Elite Championships in Liverpool, on the weekend of April 24. Lewicki, aged 18, won the Yorkshire title last weekend, beating Jack Sellars from West Leeds. And then on Saturday in Chesterfield, he beat two time national champion and england rep Zach Parker, aged 20, from Swadlincote ABC in Derbyshire. Ryszard put in a fine display, taking the fight to Parker and picking up the points win. 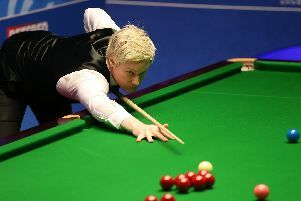 He now moves on to the quater finals at the Echo Arena on April 24, with the semis and final on the 25th and 26th. Trainer Brendan Warburton said: “Ryszard, from Jordanthorpe, has been with me from the age of nine and has a bright future in the sport. This Saturday, at the Octagon Centre, both university’s boxing teams will take centre stage at the fourth annual Varsity boxing match. “I coach both university teams and this show is the best amatuer show I’ve ever been involved in,” said Warburton. Meanwhile, two local teenage boxers are enjoying good form in the amateurs and could be set for big futures. Barnsley ABC boxer Callum Simpson recently picked up the Yorkshire belt at super-middleweight with a win at the Metrodome. According to Star coach Trevor Schofield Simpson will look to defend the belt three times so that he can keep it outright. Brodsworth ABC fighter Hughie Wilson will compete tomorrow for Yorkshire against Merseyside in a championship contest.